The science and service behind your success. We are a contract manufacturer of innovative, clean, effective and natural skin, hair, body and other personal care products. 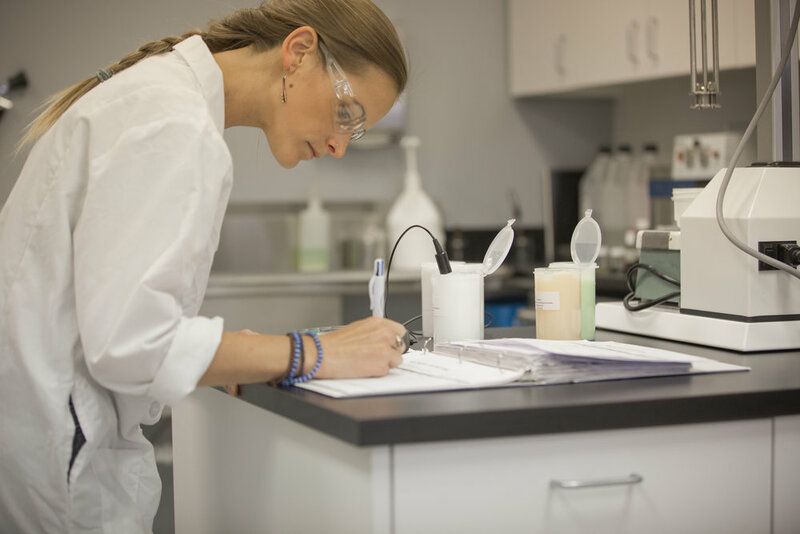 Robust R&D, cosmetic research and product development experience across a deep bench of formulating chemists and product developers. a broad mix of compounding and filling technologies in cGMP facility. and quality control teams continuously inspect and audit every process, ensuring best-in-class quality to cGMP standards. We offer a broad spectrum of formulating capabilities and product types. We offer formulation and fulfillment expertise in all types of skin, body and hair care. We have experience developing and producing all types of products within these categories — from traditional cleansers, creams, serums, lotions, shampoos, conditioners, body washes and oils to more complex scrubs, peels, masks, gels, pomades and lip treatments. With a 20 year track record of delivering success to our customer partners, we are confident we can manage your liquid cosmetic needs.